Nigar has been involved in various positions since the commencement of EURECA project. Ever since her graduation in November 2017 she has been working as a visiting research assistant alongside the EURECA team. Throughout the years, she has benefited from a close observation of the entire project lifecycle while working as PhD candidate as well as a research assistant at UEL. 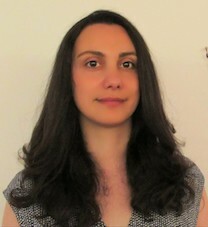 Nigar’s PhD research is titled “EASE: Energy Aware Software Engineering”, with a particular focus on energy efficiency in Data Centres. Her PhD study has been conducted under the provision of Dr. Rabih Bashroush. Her research proposed a holistic approach towards energy aware software management at design time in Data Centres, by modelling and architecting the energy trade off throughout each Data Centre. The findings were implemented, using gUML, an extension to UML deployment diagram. The gUML extension is introduced as a tool to manage an agile energy performance in Data Centres.